As was discussed in a prior article, there are a lot of myths floating around out there about burglar alarms. This is also the case with wireless alarms that people consider for keeping a burglar at bay while protecting family and home in the process. The following are some of the more popular myths about wireless burglar alarms. Wireless burglar alarms are too costly to mess with – FALSE. The average price range is $100 to $300 for these systems. Installation fees are also reasonable. Installation is very difficult – FALSE. Unlike hard-wired systems, wireless burglar alarms are geared to the DIY’er who has sufficient skills. You’re wasting your money, no matter how much they cost – FALSE. If you really want peace of mind and an extremely cost-effective way of protecting your family and home from a burglar, wireless alarms are just the ticket. If the phone line is disconnected, the system won’t work – FALSE. This will never happen provided you add a battery back-up to your system. If there should be a power outage, you won’t have to worry about your system continuing to operate until your power source is restored. False alarms are always triggered by pets – FALSE. With the advancements in burglar alarm technology, many wireless systems today are equipped with “pet-friendly” sensors which can be adjusted based on the weight of the animal. So you shouldn’t be encountering any false alarms while your system is protecting your family and property. Wireless systems are too difficult to handle and operate – FALSE. If anything, they are easier to deal with than hard-wired systems as well as being easier to install. The operation of burglar alarms is far simpler today than it ever was. My neighbors will be disturbed by my wireless alarms – FALSE. If anything, they will be glad to hear that you have installed one whether they have or not. Remember that this will alert them to the presence of a burglar being in their neighborhood. If the alarm is triggered while you are away from home, chances are your neighbors are going to be your watchdog. Burglar alarms imply that you have a huge wealth of possessions – FALSE. These security systems deter intruders and that is their primary purpose, regardless of how wealth you are and how many valuables you possess. Remember always that there is no such thing as too much security and peace of mind. 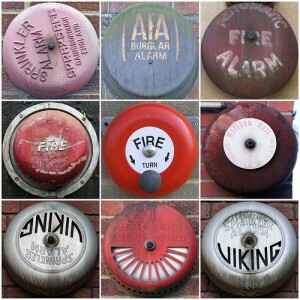 Previous post: Is It All Hype, Or Do People Really Need To Install Burglar Alarms? Next post: How Do Intruders Disable Burglar Alarms?